Discussion in 'Related Gear' started by Clark J, Feb 7, 2019. 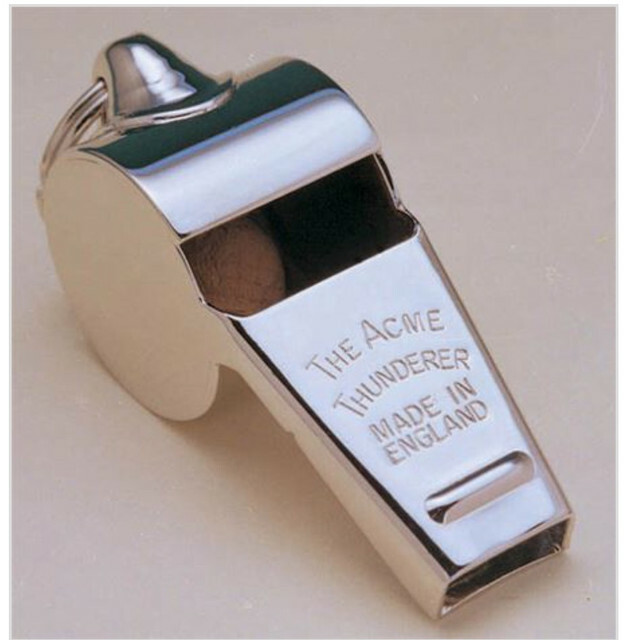 Besides the ditch whistles with AM markings were there any "Acme Thunder" without AM markings ever issued ? And is there any way to date Acme whistles ? Would like a true AM marked whistle...... had a mint one but sold it with all my other items a few years ago. J. Hudson, the makers of Acme whistles, are still very much in business in the UK. They make a wide range of whistles, including a Thunderer type. I have a more modern one with the broad arrow markings and a nice little leather frog that attaches it to a button. Came from fleabay a couple of years ago, still in its wrapper with NATO Stock Numbers on it. They were still being issued around the time of the Falklands, not sure how long after then. I think they also made police whistles. My wife who is a teacher was issued with a Thunderer when she first started her career. They issue Thunderers to some brigades in the Fire Service still, I received mine when I joined, I’ll see if I can find it. Is their website, 60.5 seems to be the AM version, 58 the infantry version, they even do a Buzz Rickson version ! There's not a lot in it, still the basic design, this is the one we use on the fireground. It's pleasing to see a design largely untouched. I would love to get my hands on an AM though!! B-Man2, Steve27752 and Cobblers161 like this. I never thought I'd say this about a whistle but that is beautiful Carl! B-Man2 and Cobblers161 like this. Some squadrons uses trench whistles instead. Not sure the reason why. Does the Acme whistle not work as well if the pea get wet? Yes they work in the wet but like all whistles have to water shaken or blown out of them first.